Anyone else shocked that November is right around the corner? I am finally in pumpkin mode and totally feeling the effects of Fall. Did Summer go by in a blur for you, too? Man...so here we are, staring down the last two months of the year. Start thinking about the holidays yet? Yeah, I haven't either. But I have been thinking about my running game and what I intend to do with it for the rest of the year. My half marathon is behind me now, and while I do enjoy running without a purpose, I like to have some sort of goal or race on the horizon. I've been focusing on one thing only: Three runs per week. I'm going to change that now. Sort of. I signed up for two races: The HeartMiRun Virtual 5K and the Niles-Buchanan YMCA Thanksgiving Day Run. Another 5K. On my birthday. Yes, my birthday is on Thanksgiving. So, here are my new year-end running goals. 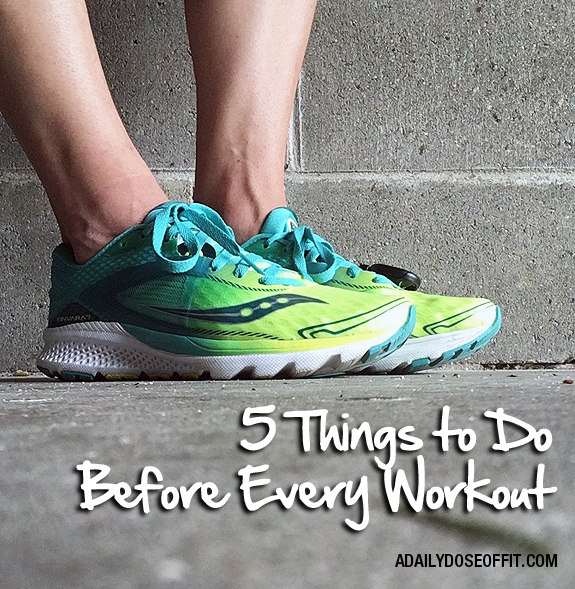 1) Run three times a week. 10-15 miles per week. That might not seem like a lot of miles to you, but that's about all I can handle because of my work schedule and my priorities at home. 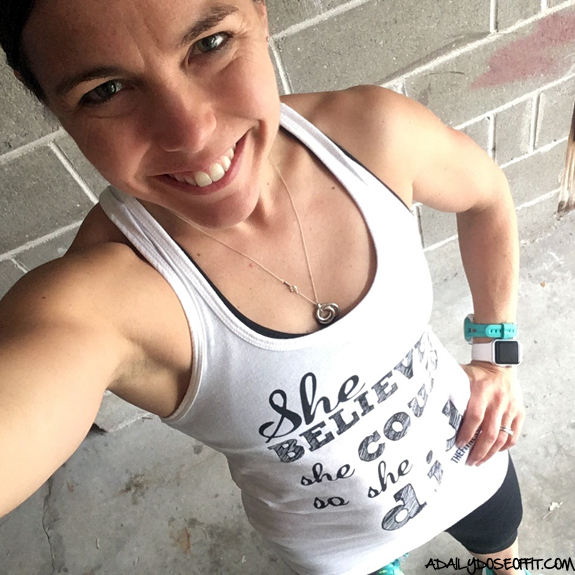 I teach quite frequently throughout the week, so I currently use Tuesday, Thursday and Sunday for running—BUT, I teach Spinning on Thursdays every other week. So every other week, I struggle to fit in three runs. If it doesn't happen, I don't beat myself up about it, but I love running. And honestly, I'd rather run than spin. 2) PR at the Thanksgiving Day Run. I felt really strong at the Chicago Half Marathon. I have never paced so well in my life. 8:30/miles felt really comfortable on race day, and I can push sub-8:00 for shorter distances. So I'm gunning for a new PR at the Thanksgiving Day Run, which is on Thanksgiving...which is my birthday! A good present to myself, yes? I've enlisted the help of my running buddy, a track and cross country coach. He insists we need to hit the local track, which I am all for. So we'll see. 3) Gear up for cold weather running. It's getting colder up here in Michigan, and as I was looking for a long-sleeve top to wear this past weekend, I realized that I don't have much to choose from. So I need a handful of cold-weather running shirts to wear alone and as layers. I have a ton of pants, just not tops. I think, when I go shopping, that I focus too intently on the cute tanks and bras. 4) Pick a long-distance Spring race to run. There are a handful of local 5K races in the Winter and early Spring that I intend to run, but if I want to run a late-spring half marathon, then I'll need to pick that one sooner than later to a) avoid higher race fees, and b) map out a good start date for training when the new year hits. So I guess that's it. With all the heavy training I did for Chicago, it feels good to be staring down a few lighter goals. Question: What is one of your year-end fitness goals? Are you running a race on my birthday, otherwise known as Thanksgiving Day? Ha! 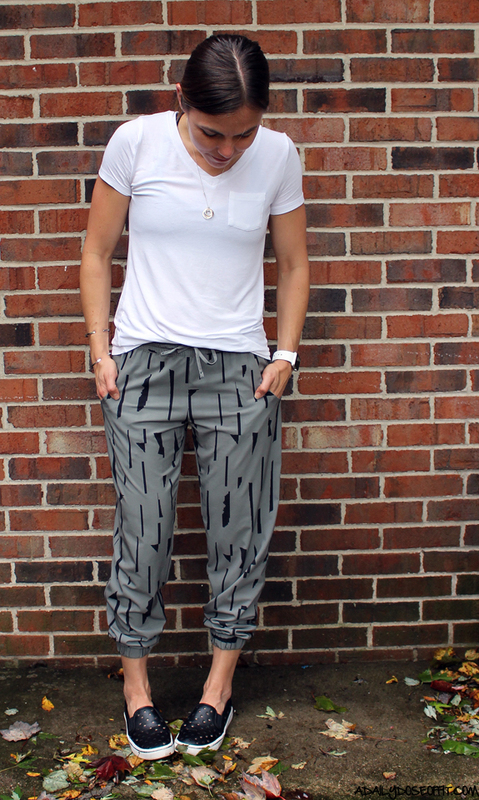 Literally obsessed with these pants. They are lightweight and super comfortable. AND...super cute. Lucy came out to my gym for a trunk show a few weeks ago and, once I spotted these on the rack, I knew immediately that I'd get my money's worth within days. Literally, they are the best. The epitome of athleisure. I have the hardest time finding bras that fit. I blame my children (she says with a smile). So I basically said "screw it" and decided to spend some money on cute sports bras that I can wear outside of the gym, too. Cue up the Lululemon Free to Be Bra (Wild). It's literally the most adorable sports bra I've ever worn. Also, the most expensive. Even with the fitness pro discount. But I'm wearing it all over the place, for almost all of the workouts I've done, and it is really proving itself to be quite good. And cute, as seen through the back of this cut out fashion tee from Target. I spent all of Spring and Summer training for a half marathon. I love running long, but I get lost in the pressure of fitting in training runs. And my body always feels heavier when I get higher in miles. Now that the Chicago Half Marathon is behind me, I'm running without a purpose again. Or, without pressure. And it feels really good. My only goal is to get at least 15 miles per week. But, there's a Thanksgiving Day run on the horizon, and I'd love a PR. So I might take on some speed work to decrease my 5K time. 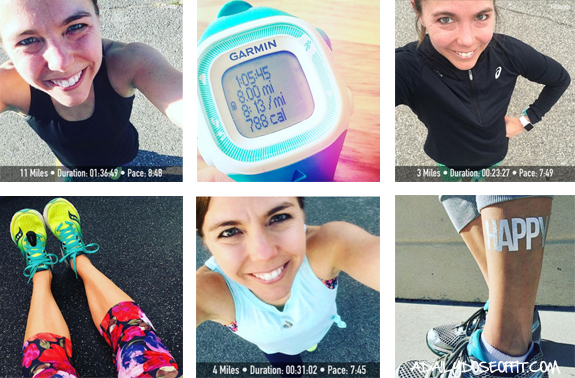 Compared to half marathon training, speed work just sounds like fun. These three items are quickly becoming staples in my grocery cart. I am a fan of eating fresh and homemade, but there are days and times during the week where healthy, prepackaged foods really help me out. For example, I buy the potatoes when I'm making a meat-based meal that calls for a side dish (and I'd rather spend more time on the meat than the side). I buy the Minute Muffins for Monday mornings when I have to be at the gym by 4:30AM. 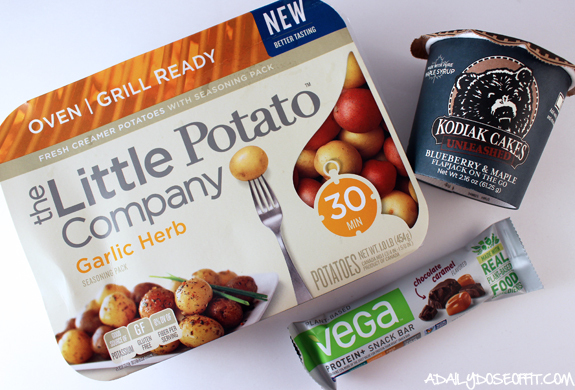 And the Vega bars, well...I always have a Vega snack bar in my gym bag. 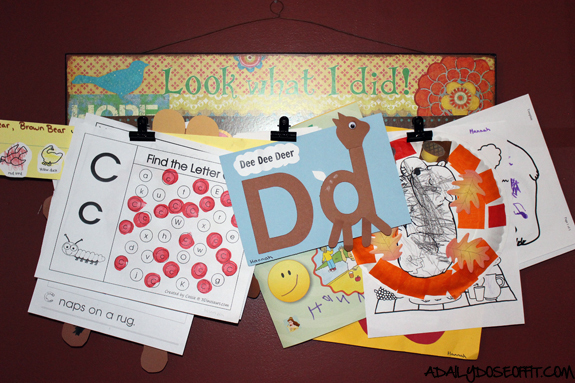 I mean, who wouldn't love a wall covered in artwork from your kid? 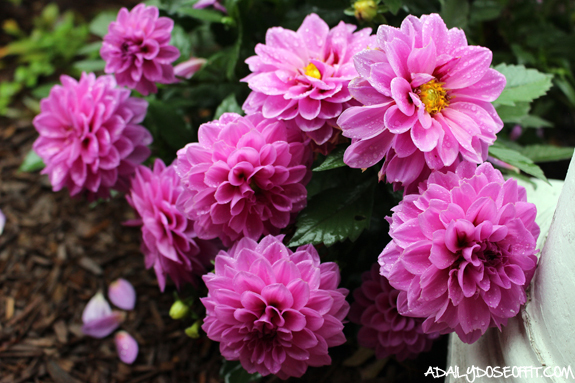 Question: What is one thing you are loving right now? Music can make or break a workout. If you are listening to the wrong playlist or station, it can distract you. Bad music can deplete your motivation. My taste in music varies greatly and depends largely on what I am doing. Lately, I've been relying on Pandora to make me music happy. But I can't use Pandora when I am teaching my group fitness classes. I'll admit—a good playlist is hard to put together, and the availability of literally everything on Pandora is appealing. But a group fitness playlist needs to compliment the workout AND please the attendees (and be 100% appropriate for the audience). This is hard to achieve with Pandora, at least from my perspective. 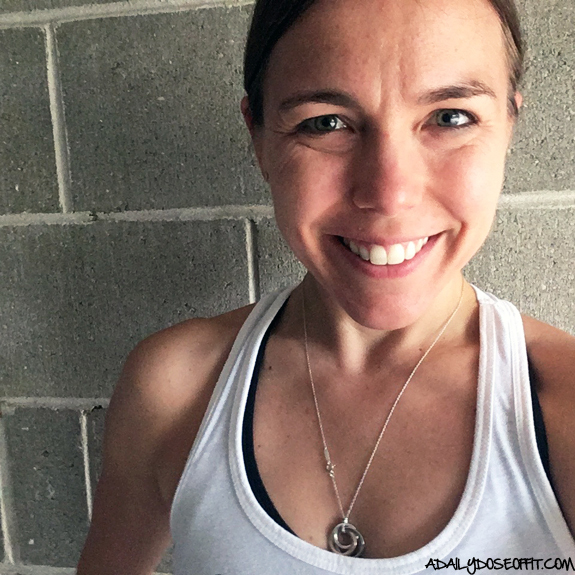 I currently teach Barre Fit, TRX, HIIT, Spinning and PiYO Live. I create a new Spinning playlist every week, songs for which are chosen based on their ability to dictate RPM. PiYO Live comes with it's own music, so I'm off the hook there. But the other three formats...I have the freedom to pick songs that literally just make people move (and hopefully smile, too). We are currently jamming to a variety of new and old(ish) songs. 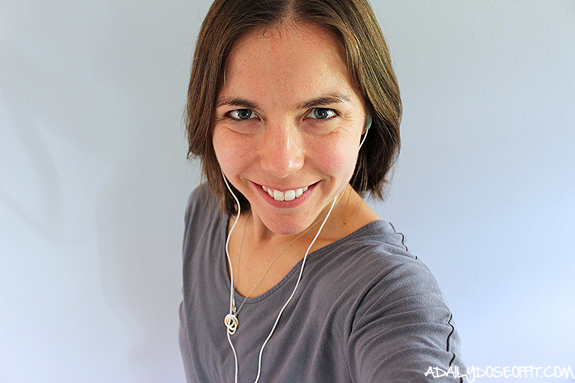 I'd say this 60-minute playlist can motivate you through a wide variety of workouts. It ends with two slower songs, which will remind you to finish your workout with a cooldown and some stretching. So far, no complaints from any of my students. 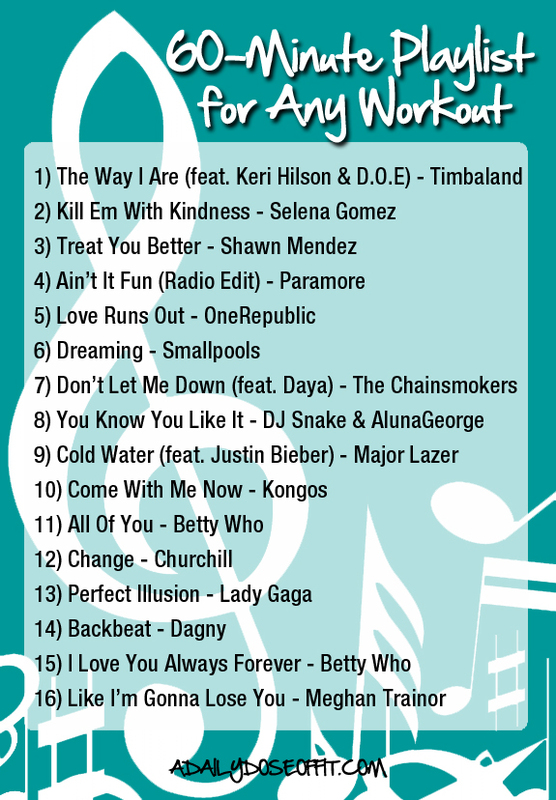 If you're looking for new music for exercising, maybe this list will help you build your perfect playlist. Question: What song is at the top of your workout playlist? Are there any songs that always, without fail, motivate you to move? Think about your last workout. Was it great? Did it leave you less than sweaty and completely unsatisfied with the time you spent at the gym? Truth is, some workouts are better than others. This depends largely on your body and how it might be feeling that day. But there are, in fact, a few things you can do before every workout to set yourself up for a top-notch experience that targets your goals. If you sign up for a group fitness class or meet with a trainer, you can skip this tip. Your workout will be planned for you. However, if you go it alone, you should absolutely show up with a plan. This allows you to get right to it, moving from one exercise to another more efficiently while eliminating time spent deciding what to do or what comes next. 2) Eat and drink something. You don't drive your car when it's empty, do you? Gas up before your workout with a carb-based snack that your body can turn into much-needed energy. Drink plenty of water, too, so that you are well hydrated. From ear buds for music to the right kind of footwear and clothing—whatever you need, make sure it's ready to go. Nothing derails a workout quite like a missing pair of shoes. Time spent searching for gear is time waisted. Especially if your window for workouts is small. Exercise is fun, even when it's not. So mentally prepare yourself for the workout ahead of you. Remind yourself that you can, and that you will make a difference in your health with every last rep, mile or lap. A positive mental attitude translates to positive results, it's true. Every workout should start with a warm up. It's really the most important part of a sweat session because a warm body moves more efficiently. Just ten minutes of cardio can get the job done. Dynamic stretching is also effective, particularly for runners. Get your body moving, get your blood flowing, then call on your muscles to work hard. Again, not every workout will be perfect. Life has a funny way of surprising us with twists and turns that derail our best intentions. But when we stick to the basics, adapt as needed and prepare for the best...we truly set ourselves up for success in and out of the gym. Question: Are you ready for your next workout? What are somethings that you do before every workout to ensure sweaty success? The following post is sponsored by Uncommon Goods. I was not compensated for my opinions, but I was given a stipend to use on their website. There are no affiliate links in this post. 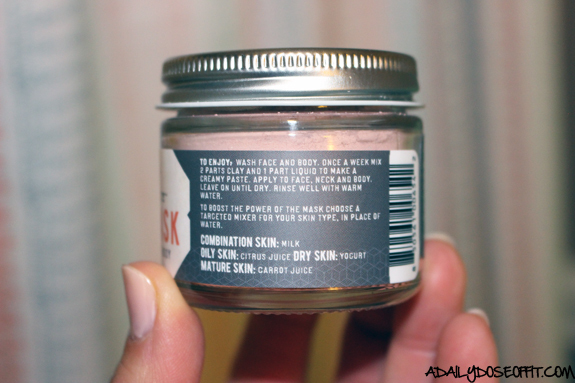 A few days ago, I sung the praises of my POPSUGAR Must Have Box. I talked about how it's always a great surprise to receive, and I challenged you to give yourself more surprises to honor all of the good things that you are doing with your life. When my friends at Uncommon Goods reached out to me with an opportunity to shop their website, I accepted their offer as yet another way to surprise myself. 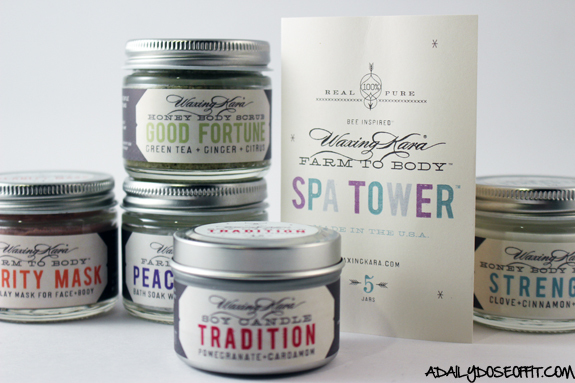 Plus, gift giving season is right around the corner, so maybe I can help you get started. I know, gift giving season. It's nearly that time of year! Uncommon Goods has two things going for themselves: Every item is totally unique and the variety is on point. You'll literally find something for everyone on your list. Or a million things to put on your own list. • You can find a vast array of handmade, recycled and organic products. 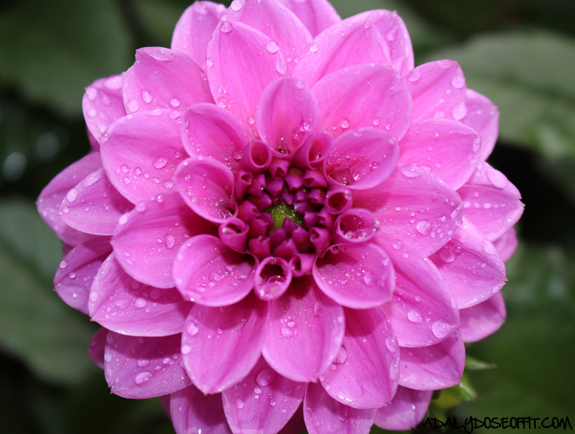 True originality comes aplenty, which is great when you want to give someone something really special and unique. • The company itself is constantly refining it's footprint, aiming to be environmentally friendly and socially responsible at all costs. We need more companies like this in the world. • At checkout, you can donate a $1 to the charity of your choice. And, they encourage you to fill your box up with items for Goodwill—there's even a spot on their website where you can print a free label to ship it to Goodwill. Seriously! I know, it seems silly to spend a ton of money on something like peanut butter. You can make it at home for next to nothing. 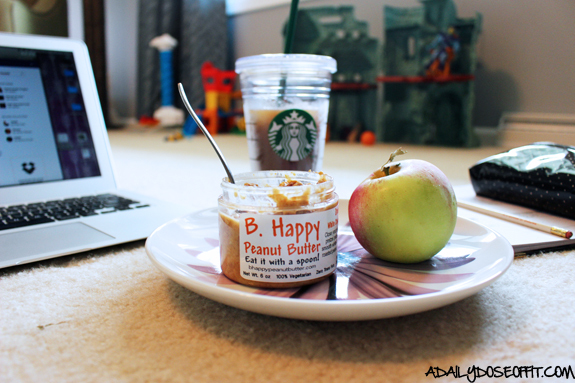 But when I saw this little box of goodness, I couldn't pass it up because #peanutbutter. It can actually be a fairly healthy staple in a good diet. Or, it serves up as a treat. 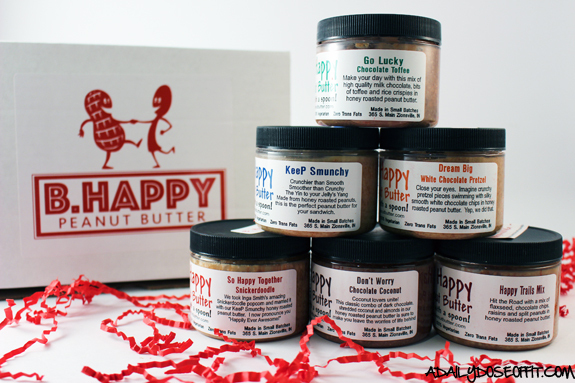 Plus, people who love peanut butter (me) like trying small batch peanut butters with different and delicious new flavor combos. 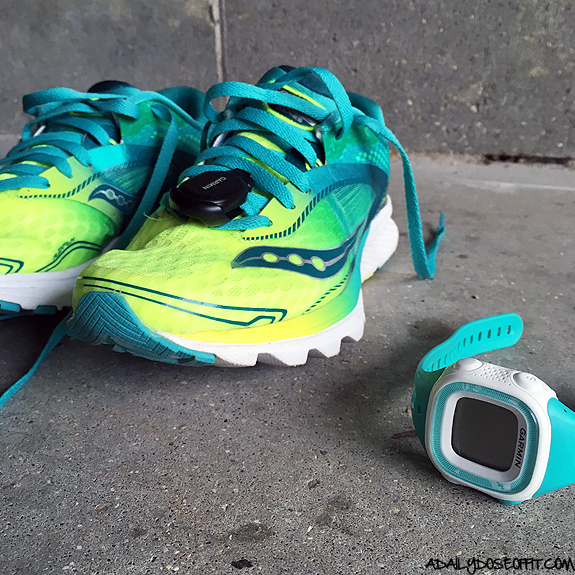 It keeps track of your fitness data AND the number of times you jump. Those numbers you see in the video? You can see them while you're jumping. I KNOW, RIGHT?! Seriously, this list could be so long. When you give a gift to someone that really digs fitness and health, it's all about finding that unique item that enhances their everyday routine. Be it something inspirational or super functional, fitness and health gifts are fun. Unique, And generally inspiring in some way. 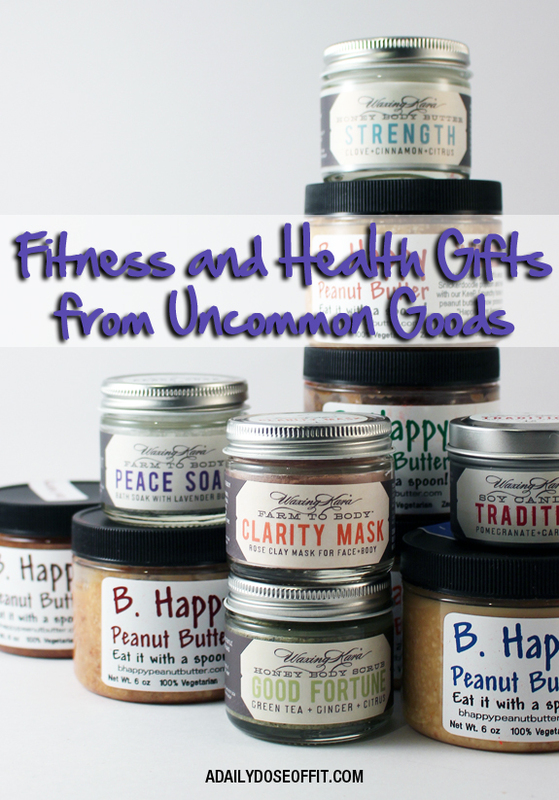 Question: What's the best fitness or health gift you've ever received? Today is Wednesday, which means I normally wake up early to teach my HIIT class. 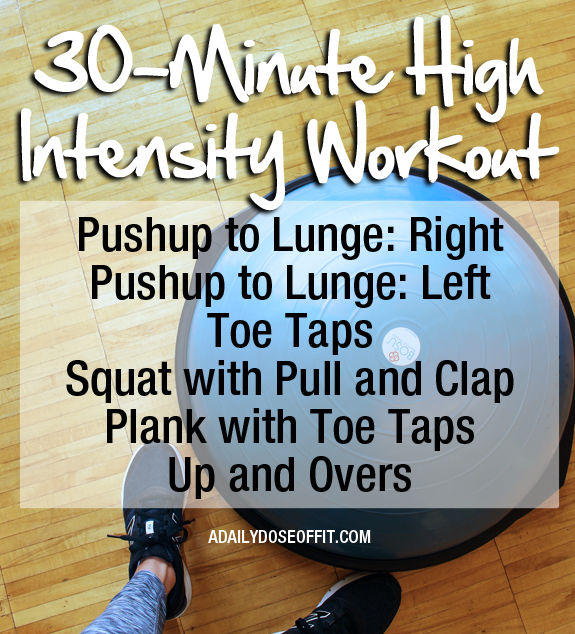 High intensity interval training is a great way to burn a lot of calories in a quick amount of time. It's also a great way to wake yourself up when the rest of the world is sleeping. Full disclosure: I slept in today because I am teaching a 6:00PM class this evening. Why can't I do both? No excuse, really. But I had an instructor willing to step in, so I decided to share the fun. I want to share the fun with you, too. High intensity interval workouts are not for everyone. Consult your physician if you're not sure if this format is right for you. And always, always listen to your body and honor what it's telling you while you exercise. Six exercises in one circuit, three times through. Do each exercise for (:45) and rest for (:15) in between. Give yourself a solid minute between each repetition of the circuit. Make sense? 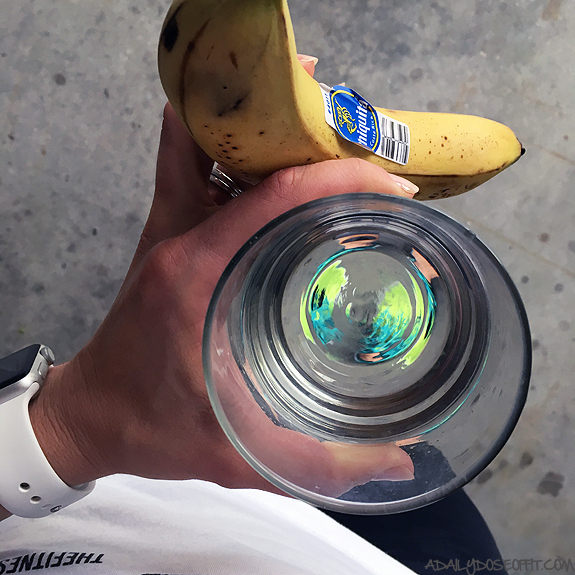 Friendly reminder: You need to warm up and cool down before you start. Important. Let's break down these exercises. I posted a video of this move on my Instagram feed if you'd like to see it in action. It's a relatively simple move that you'll do on your right and left sides separately. Start with a single leg pushup with your left hand on the BOSU and your right foot off the ground. As you complete the pushup, come into a low lunge by bringing your right leg forward. 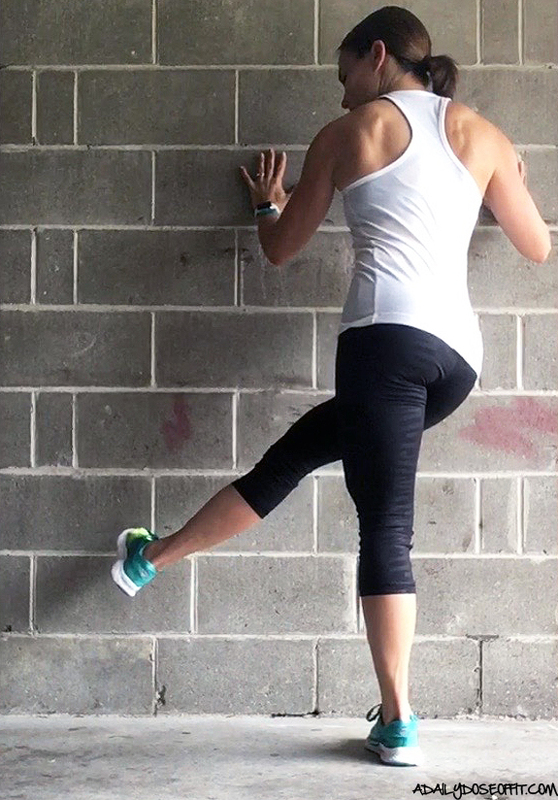 Start with your feet slightly wider than your hips, keeping your heels relatively close to the BOSU. Squat down, pulling your elbows behind you while simultaneously engaging your upper back. Stand up strong, squeezing your glutes and clapping your hands in front of you. 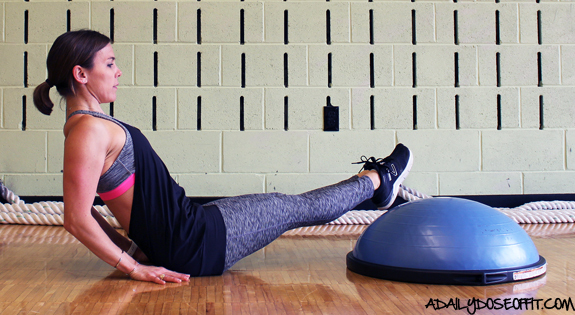 You might not get all the way down to the BOSU and that's perfectly fine. Goals, right? 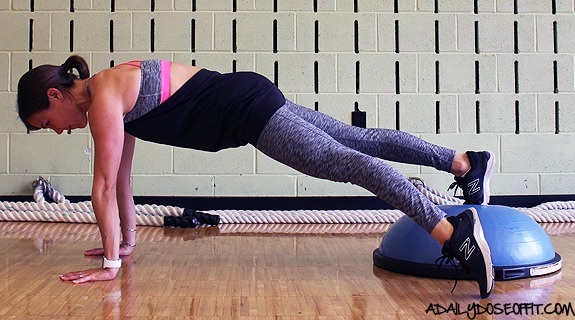 Get yourself into a straight-arm high plank with your toes on the BOSU. Hold the plank while you alternate tapping your feet to the side of the BOSU for the duration of the (:45). 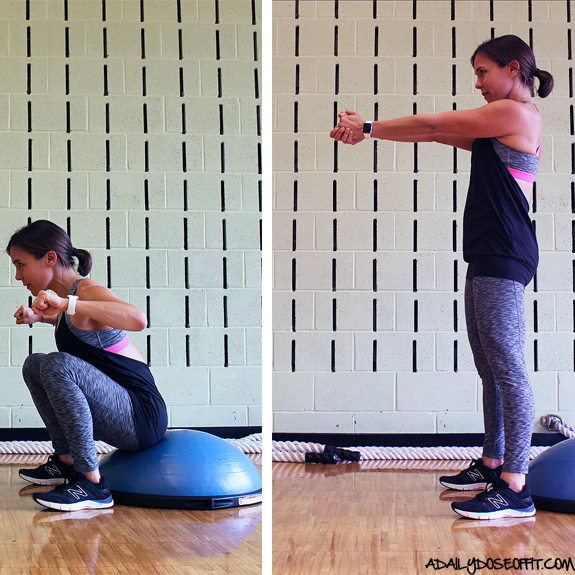 Start with your heels on top of the BOSU. Sit with a straight back, engaging your core to support the spine. 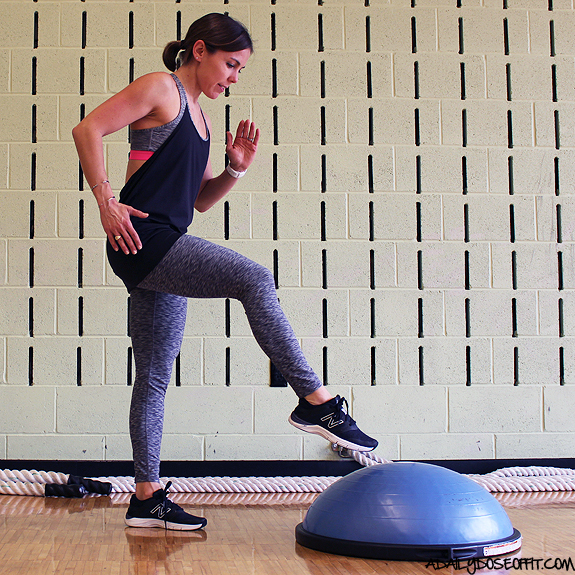 Tap the floor to the left of the BOSU with your heels, then lift your legs up and over to tap on the right. Repeat! Remember, warm up before you start and cool down when you are finished. These steps are important! They keep you safe, and promote better results. Questions? I am always available: tara (at) adailydoseoffit (dot) com. 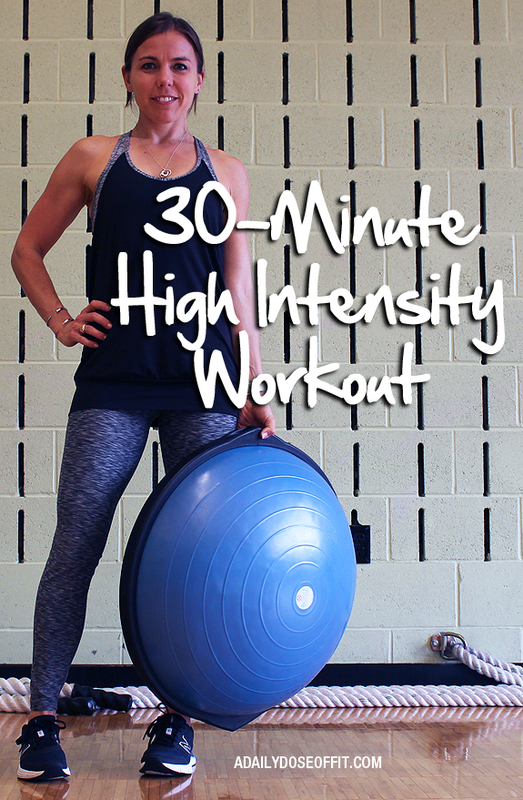 Question: Do you like high intensity interval training? Tell me why or why not? What is your favorite BOSU exercise?